Aloha beautiful divine light BEings! We are going through HUGE transitions and these play out in our own reality however they need to for us. 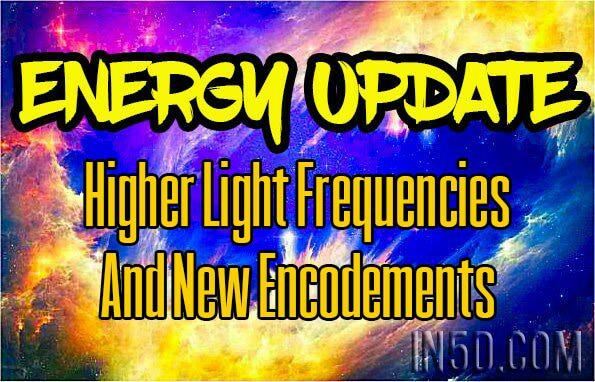 We are clearing massive amounts of energy, while simultaneously anchoring higher light frequencies and NEW ENCODEMENTS in our physical bodies at a ridiculous rate now. Every day, every moment, things are moving through faster and stronger now. We gain the capability to handle more, do more, be more of who we truly are… yet while we are reconfiguring, we are often not able to do much/anything at all. Be patient, hang in there, trust and know… and when it shifts/passes, you’ll be ready to rock and roll! These higher frequencies “make us” not waste energy, appreciate energy, appreciate when we can DO. Once the lethargy passes from the “weakening the body to upgrade/encode the body”, then we shift into “doing energies”. It’s part of the process. Everything is. Learning/understanding the process makes it easier to maneuver within flow. These super-charge our cells…. they do much and fast. These get things moving, so observe and see what you see. For me, I’m about to slam through the work that’s piled and waiting to get done. Have a most magnificent day loves! In-JOY the Gamma blast. Hopefully it lasts a while. p.s. These can go straight for the spine/nervous system, create tingling and sexual stimulation too. These “light the fire” inside for your soul to awaken faster and your Light Body to be activated huge too.